On November 11, 2017, Cassie was out preparing for her upcoming high school senior portraits and was on her way to the bus across the street on East Gun Hill Road. In a matter of seconds, she remembered hearing another pedestrian behind her yell and before she knew it, she was struck by a car. The driver of the vehicle got out of the car and was very apologetic. Cassie was taken to the Department of Pediatrics at Jacobi Medical Center for medical evaluation. As a result of the accident, Cassie was in the hospital for 7 days with a kidney injury. She also suffered injuries to her face, rib, and back. After her discharge, Cassie spent a month at home, missing her classes, exams and those senior portraits. To add insult to injury, the driver changed his story and filed an amended accident report stating that Cassie “ran in front of his vehicle” thereby causing her own injuries. 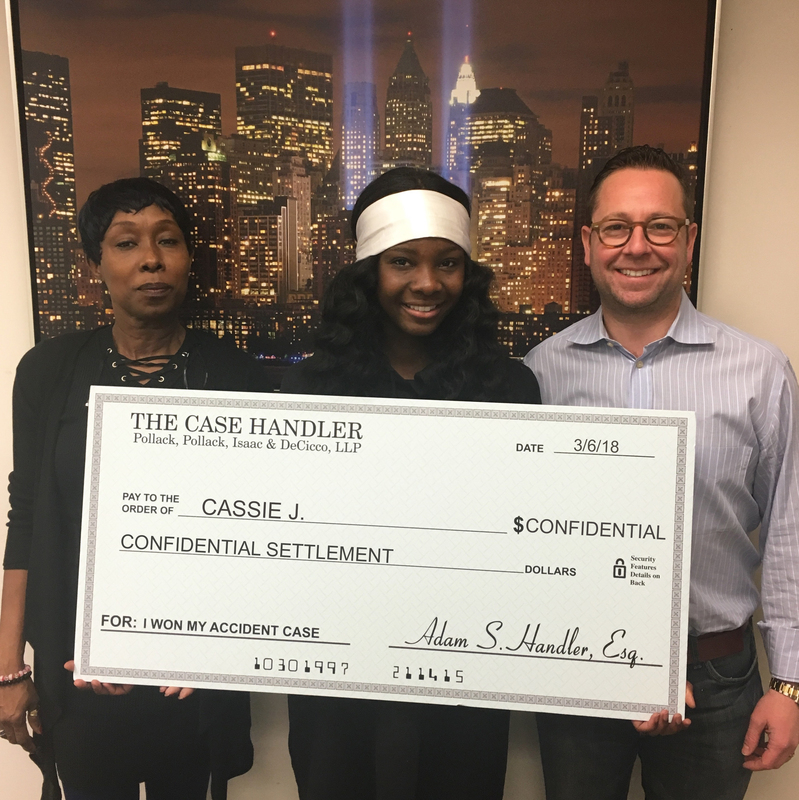 Thanks to Cassie’s mom, a loyal listener of Adam’s radio show, the family contacted The Case Handler team! With the help of our efficient Bronx pedestrian accident attorneys, we recovered the maximum policy limits from the driver’s insurance company despite his exaggerated statements and in only three months! P.S. Cassie eventually took her senior photos which, in addition to her case, also came out great!